R. Lee Ermey, a former drill instructor who became a Marine Corps icon for his portrayal of Gunnery Sergeant Hartman, aka "The Gunny," in the 1987 film "Full Metal Jacket," is dead, his manager said. He was 74. 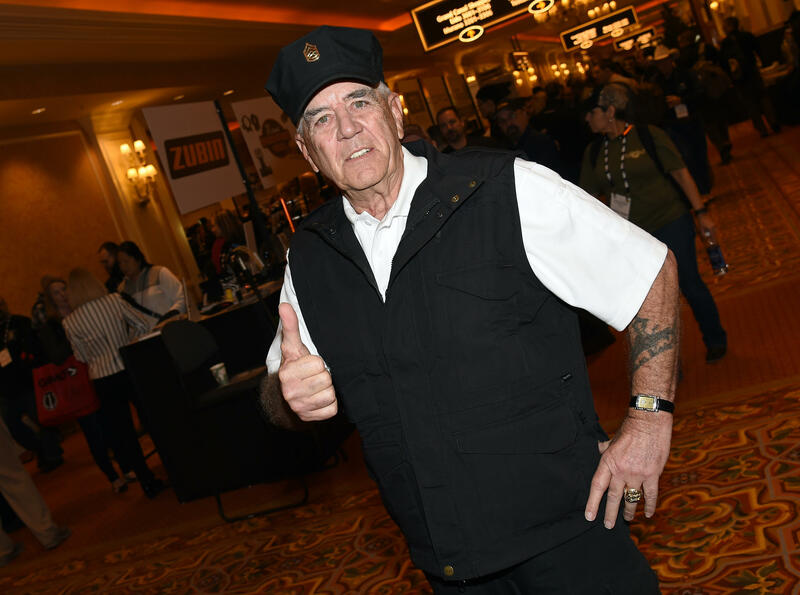 "It is with deep sadness that I regret to inform you all that R. Lee Ermey ("The Gunny") passed away this morning from complications of pneumonia," his manager, Bill Rogin, posted on Facebook. "He will be greatly missed by all of us. It is a terrible loss that nobody was prepared for. He has meant so much to so many people. And, it is extremely difficult to truly quantify all of the great things this man has selflessly done for, and on behalf of, our many men and women in uniform." Rogin quoted one of the famous lines from "Full Metal Jacket": "This is my rifle. There are many like it, but this one is mine" to describe Ermey. "There are many Gunny's, but this one was OURS," Rogin said. "And, we will honor his memory with hope and kindness. Please support your men and women in uniform. That's what he wanted most of all." Ermey landed his first film role in 1979's "Apocalypse Now," and also served as a technical adviser to Francis Ford Coppola. He had a number of small roles before landing the role in "Full Metal Jacket." He was nominated for a Golden Globe for the role of "The Gunny," the drill instructor who yelled lines such as "What is your major malfunction, numbnuts? Didn't mommy and daddy show you enough attention when you were a child?" He had over 60 film and television credits, including working as a voice actor in "SpongeBob SquarePants" and "Family Guy." He remained one of the few conservative voices in Hollywood. In 2010, he told TMZ he was fired from a Geico commercial for saying President Obama would "impose socialism" on the U.S. He later apologized for the remarks.